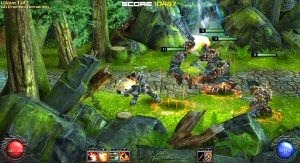 Chronoblade is a free-to-play action MMORPG where you get to experience exciting side-scrolling hack-and-slash action. This game was made by creators of Diablo II and Grand Theft Auto and is one of the truly great Facebook games. Besides the campaign, Chronoblade also includes PvP and co-op modes.